Staring out the window of your Whitby home can show you some beautiful coastal scenery. Yet if you have older, drafty windows, you may be too cold to enjoy it. 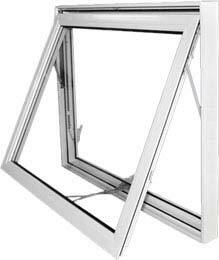 As windows age, they can become warped, rotten or prone to infection from pests like termites. 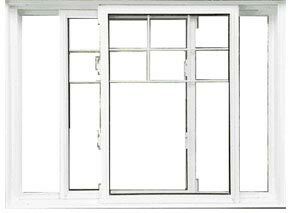 In addition, older windows are not nearly as energy efficient as today’s technology allows. 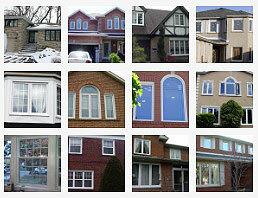 See our Map of Installation Windows and Doors in Whitby ! When it comes time to renovate your home, you may only think it in terms of curtains, paint and decor. 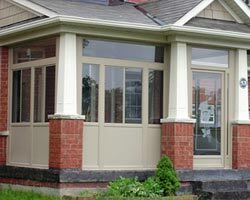 However, you should not forget to include your windows and doors Whitby in the remodeling process as well. 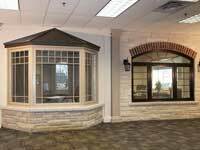 Windows replacement can make a huge effect on the overall look and feel of your home. 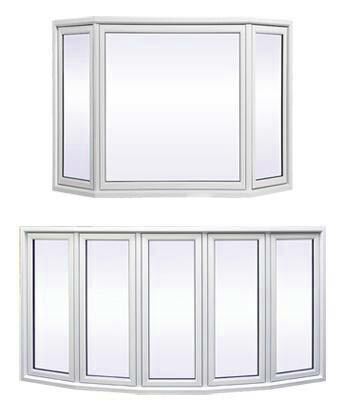 Total Home Windows and Doors in Whitby can not only help you achieve a new look for both the interior and exterior of your home; they can also save you a great deal of money on energy bills. 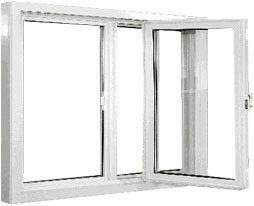 Our Canadian windows and doors are manufactured to be highly energy efficient. 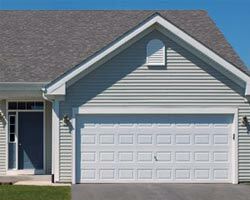 They provide superior insulation and will protect your home from harsh weather conditions. Imagine all of the money you will save on your monthly utility bills. At one point, you may wish to sell your home and we are sure you want to get the best return possible on your investment. 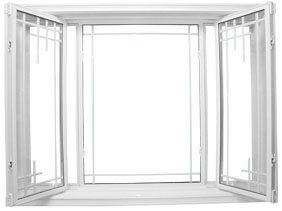 If you have installed new windows and doors Whitby, you will vastly improve the curb appeal and overall value of your home. New buyers are looking for homes that are not only energy efficient, but stylish as well. We can make a custom design that will match your home. 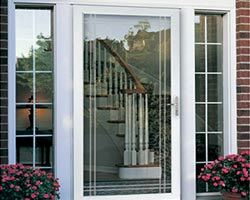 You can choose from our large selection of entry doors as well as a large selection of bay windows, casement windows, awning windows and much more! 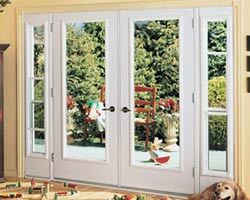 At Total Home Windows and Doors, every item is durable and affordable. 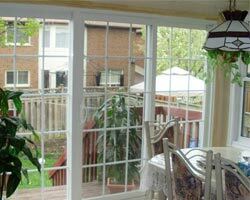 We strive to have the best rates on doors and windows replacements services in Whitby. 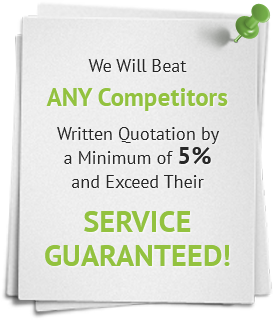 If you find a lower rate from another company, we will match their price. 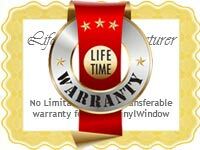 As well, we offer a lifetime warranty on all of our products. As well, we have the best installation service in the GTA. We take pride in our work and we want you to take pride in your home! When it comes time to change your interior design, do not hesitate to call us at Total Home Windows and Doors. Our staff is waiting to help you with all of your home renovations need. Call us for a free consultation. 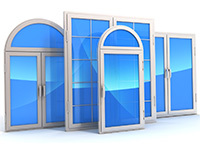 We can offer you advice on what type of doors and windows replacements in Whitby will work the best for you home. If you are ready for a brand-new look for your home, give us a call! We look forward to working with you to improve your curb appeal and protect your home during the harsh winter months! Recently we had 13 windows and one sliding door replaced by Total Home Windows and Doors. Installation team was very professional and they completed the project in 2 days. We are very pleased with the final product. The new and enlarged windows look great! 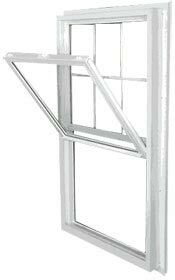 I received 4 different quotes from window installing companies before settling on Total home window and doors. The main reason for me choosing this company is because of Vitaly. He was so professional and knowledgeable about his abilities and his products. 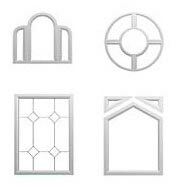 He answered all my questions and made me aware of what to look for when choosing a window company. He assured me I made the right decision by hiring his company, and man, he did not disappoint. His crew showed up on time when he said they would. I was amazed at how the crew worked so well together. Everyone knew their role. You could tell they all loved what they do. No one was yelling and swearing. They were all happy and smiling. I was kind of skeptical when Vitaly said they would finish the install in one day. Well, they did. Proving again Vital is a man of his word. They covered all my furniture with plastic wrap and covered all my floors with drop cloths. To top it all off, their pricing was almost 2k cheaper than everyone else, and they use a top rated window manufacturer for their windows as well. I have already referred this company to 4 friends who have all signed up with Vitaly. There is a reason why they received great reviews online. They are honest, hard working people, who take pride in what they do. Give them a call you will not be disappointed. Recently, I had 22 windows and a patio door replace by Total Home Windows and Doors.Eddie was professional and very flexible, did everything to accommodate my request, gave me a very competitive price.Andrew and his installation team were very professional, too. They did a good job installing the windows, and they cleaned up after job. We are very happy.Eddie also followed up after the job was complete. One screen has a very minor problem (one strain was broken), Eddie asked no question but offer to take it back to the factory to fix it. Thank you Eddie. I had recently changed my entire house 16 windows, and 4 doors, brick to brick installation done. We decided to go with this company for 2 reasons, one for price I commend Anatoily for giving us a very good quote and second primary reason was Vitaly. I read his reviews online, he’s is really one of the best and most knowledgeable person. His work is impeccable. His team and he worked non stop to ensure the job was completed on time. Very professional, even my neighbors came and mentioned these people know what they are doing. They work in a systematic manner and did such a great job. I will highly recommend go with this company and ask for Vitaly you won’t be disappointed. I have recommended his work to my friends. Before choosing a window contractor for our whole-home window replacement project, we met with representatives and obtained quotes from several window and door companies. From the first time we met Eddy from Total Home Windows and Doors, we were 100% impressed with his knowledge, confidence, and patience with the many questions we had in determining whether to go with retrofit or complete window replacement in our 1940's home with beautiful window casing that we hoped to preserve. Other companies completely discarded the idea of retrofit windows for our home, as they wouldn't qualify for the rebate program offered at the time, but Eddy respected our wish to increase the energy efficiency of our windows while preserving our beautiful solid wood trim and casings. He made several visits to our home to enthusiastically demonstrate why one type of glass, which did not qualify for the rebate program, was truly the best choice for maximizing energy efficiency in our climate, and his follow up with any questions or concerns we had before even committing to choosing him for the project was second to none. He even took the time to create mock-ups of various mullion style options to help us choose something to suit the style of our old home.We had to change our installation date more than once to accommodate the schedule of other renovation projects we were doing this summer, and Eddy handled these scheduling revisions very professionally. The installation crew did an incredible job on both the installation and cleanup of our project, and we are thrilled with the way it turned out.We're looking forward to working with Eddy again on the replacement of our exterior doors and windows on our new garage this fall. Vitaly came to give us a quote in late spring. Interestingly enough he was the only estimator that didn't measure our doors. He was able to eyeball the size and also told us that our side exterior door was not of a standard size. I knew he was spot as I had already gotten many other quotes. He answered all my questions and even invited me to see the door and colour selection either in the showroom or at the factory.I had gotten approximately 6 quotes and Vitaly did not come i as the least expensive quote nor did they have the best product out there. I managed to find a better product at substantially more expensive and according to my research only incrementally better. Vitaly offered the best value in my opinion.The installation took a bit longer than I was told but I was fine with that as I was already given the heads up that it may take a bit longer to fit new doors in my 70+ year old house. Edward was meticulous with the insulation and caulking to ensure there were no holes or gaps. Because our house is old and not plumb he ensured the door was in alignment with the rest of the house to look level. Door opens smoothly and no perceivable leaks or air gaps. We've since had some heavy rain beat against the door and strong winds.When Edward came to do the final measurements to order our doors he noticed that the existing side door could also be enlarged by an additional inch. In fact when I measured after the fact he gained us almost and 1.25 inch. We were quite happy about having a slightly larger door in an already small odd sized opening in the side of our old house.Ask for Edward to install your doors.Ask for Edward to do the final measurements and installation. it was a good experience. I am a very sceptical person as is my wife. I want a job done right the first time as well as neat and clean. I even visited the factory to see how the windows were manufactured. At the end we are very happy with the windows and the workmanship. We're quick and professional. Cleaned up as they worked. The windows look perfect and the house is a lot warmer. I can't get over how much light comes in which makes the rooms look bigger. Well insulated and installed. I am so pleased that I hired this company to replace all windows (21 in total), patio door and front door. Everyone that I met who worked for the company was a pleasure to work with, from Anna to the installers who worked steady for two days to complete the project. 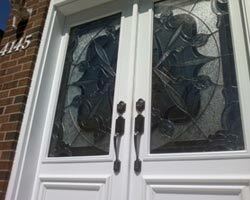 The workmanship was outstanding and I have had many complements so far on the front door as well as the windows. 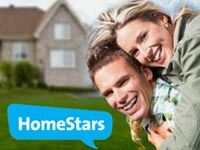 I've had windows replaced in other homes prior to calling Total Home Windows and Doors, but the whole experience was completely different.When I called, I was met with a very friendly voice who was able to walk me through the process and what I needed to do. When Vitaly arrived at our property to give an estimate, he was super polite and very detail oriented. The prices were adequate and the work was exceptional. I would undoubtedly recommend this business for anyone needing new vinyl windows.